The Genealogy Center has extraction books and microfilm copies of early Catholic Church records in New Mexico from the late 1600s through about 1950. See Microform Collections above for an overview of church records available on microfilm at the Genealogy Center. There are also some records for a few protestant churches in New Mexico available on microfilm. The Genealogy Center has copies of many death certificates for New Mexicans between about 1907 and 1950 and these are available to the public. The years vary by counties. These death certificates are available on a local area network at the Genealogy Center and on microfilm. Volunteers from the Albuquerque Genealogical Society, the New Mexico Genealogical Society, and throughout the United States recently completed a project to index these certificates. New Mexico Vital Records and Health Statistics was created in 1919. Prior to this time, birth and death records were collected by a variety of institutions, including counties and churches. Both birth and death certificates for New Mexicans may be requested from the State Vital Records Office in Santa Fe in person, by mail, or online. Birth certificates may also be requested in person at the Albuquerque office at 2400 Wellesley Dr NE. The Genealogy Center has delayed birth records for New Mexicans on microfilm from about 1871 to 1895. You may also want to consider using church records. Mortuary and cemetery records and obituaries or birth announcements may also be available either online or in print. Search our catalog for the many New Mexico vital record books, including indexes of civil death records and church burial and baptismal records, available at the Genealogy Center. A summary list of NM death certificates and delayed birth records available on microfilm and on the local area network at the Genealogy Center. Copies of marriage licenses are available from the county clerk of the county where the marriage license was issued. 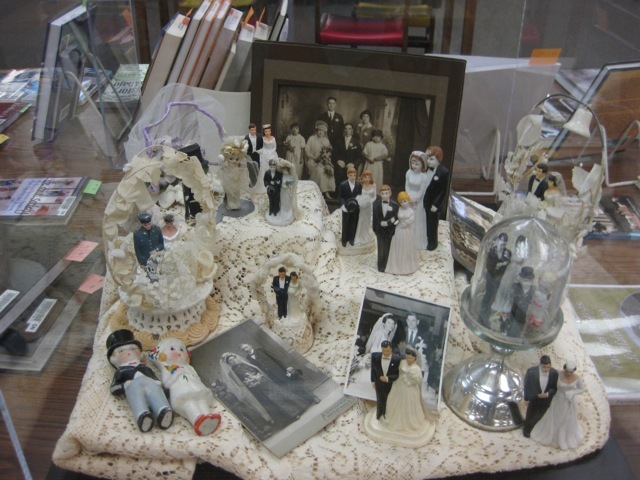 No civil marriage registers are available prior to 1863, however civil marriages may be recorded in county Justice of the Peace records or probate journals available from the New Mexico State Records Center and Archives. Again, you may also want to consult church records. The Genealogy Center has ledgers of marriage records for Bernalillo County up through about 1934, but not copies of marriage certificates. You can look up and order marriage records for Bernalillo County on the Bernalillo County Record Lookup site. Divorce decrees are available from the district court in which the divorce was filed. For Albuquerque, that would be the State of New Mexico Second Judicial District Court. Divorce decrees prior to 1912 are contained in the Judicial Records collection of the New Mexico State Records Center and Archives. These books include both civil and church records. Order birth and death certificates from New Mexico Vital Records. Provides links to New Mexico death, cemetery, and obituary records available online. Information from death certificates issued in New Mexico between 1899 and 1949. Search for information about marriages and property transactions in Bernalillo County. FamilySearch.org has digitized New Mexico death certificates up through about 1945 and Santa Fe, Socorro, and Valencia Counties death and marriage records through 1952. You will need to create a free account to view these records. Centers for Disease Control & Prevention's index of how to locate vital records from other states.